Its been now three years, when due to blasphemes content “Innocence of Muslims” released on YouTube and after protests in the country erupted, on 17th September 2012 Pakistan Govt imposed ban on the site. At present this sanction is still on, while Pakistanis are still unable to access YouTube, others have either forgotten the most popular video sharing website or they approach it through proxy & VPNs websites. The existing position of both the stakeholders stand still, for YouTube it’s the “Freedom of expression”, and for Government of Pakistan it’s the blasphemy. 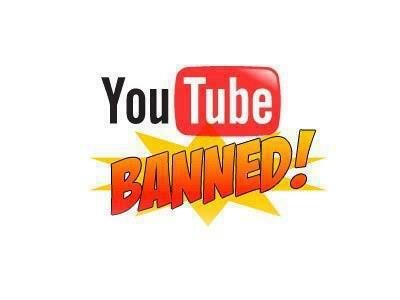 Be afraid of public response, Government officials are in no point to take a rigid stance for YouTube and lift the ban, while blasphemous videos are still on YouTube. Google's traffic details for YouTube in Pakistan uncovers that 4-5 percent of Pakistanis who used to get to YouTube before September 2012 still get to the site. This information does exclude those sessions that access YouTube by proxy or VPNs as their country IP location changes during this process. Youtube prohibit in Pakistan has additionally been a gift for other video sharing sites including Dailymotion and Tune.pk significantly. Dailymotion, a French origin site that offers Youtube like feature is currently sixth most visited site in Pakistan. Amazingly, Pakistan users provide 2.5 billion video hits every month.